Even yogurt is going programmatic. As part of a move to take roughly 15 percent to 20 percent of its video buying programmatic in the next year, Dannon recently became one of the first brands to run a campaign using Facebook's LiveRail platform, which effectively helped it reach 90 percent of its target audience. In August, Dannon inked a yearlong deal with video vendor TubeMogul to beef up its ad targeting while also automating a portion of its buying. 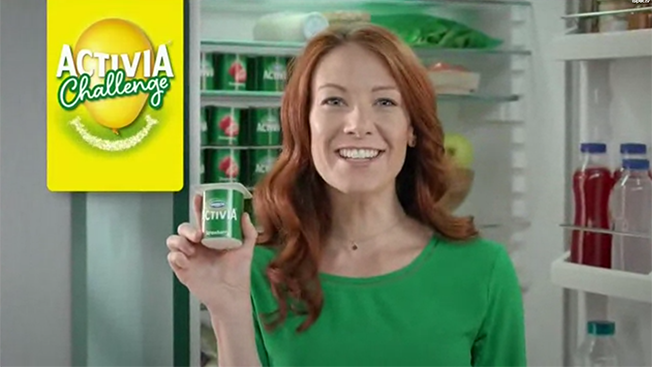 One of the first efforts to come out of the partnership was a campaign for Activia, a line of yogurt that helps with digestion, that served preroll videos to specific people based on their age and gender. "The early results were really promising where we saw nearly 90 percent of the ad impressions were on target with the audience," said Brett Wilson, TubeMogul's CEO. "That's much higher than we would normally expect." The results were indeed a success, and Dannon plans to test data-driven buying for all of its brands through 2016. "Each brand has an individual segment," said Claudia Sargent, vp of media and marketing services at Dannon. "The great thing about adding a data layer is we identify data sets that allow us to target [age and gender]." A yogurt brand may seem like a strange fit for navigating the sophisticated waters of programmatic buying, but it's the latest evidence that brands want more data to understand what works with online video, said Wilson. Unlike other brands such as Quiznos, Mondelez and Progressive that believe they have the know-how to bypass agencies and handle programmatic on their own, Dannon is enlisting its agency, Carat, to oversee media strategy. "We think you'll see a lot more deals like this where the advertiser chooses their own technology partners, but there's still an agency involved for the strategy and execution layer," Wilson said. With the ad-targeting technology nailed down, Sargent said creative is the next big push for Dannon to reach specific groups of consumers online. "We're a traditional CPG advertiser where TV and video has always been our primary channel," she said. "This has the same benefit in terms of sight, sound and motion. However, it also adds the complexity that a typical 30-second spot on television isn't the best way to message. Now, we need to push the content so that it reaches the right consumer."